New Jersey: World Scientific, 2008. 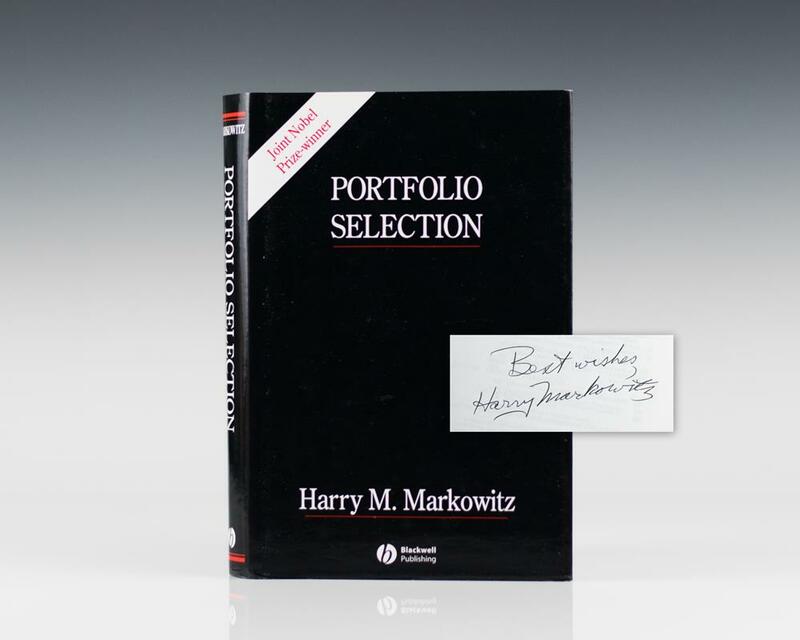 First edition of the collected works of Harry Markowitz. Octavo, original illustrated boards. Presentation copy, inscribed by the author on the title page, “For William: Best wishes Harry Markowitz.” In fine condition. First edition of the economist’s work, which revolutionized modern investment theory and practice. Octavo, original blue cloth. In near fine condition, lacking the rare dust jacket. The Nature and Applications of Process Analysis. Santa Monica, California: The Rand Corporation, 1954. 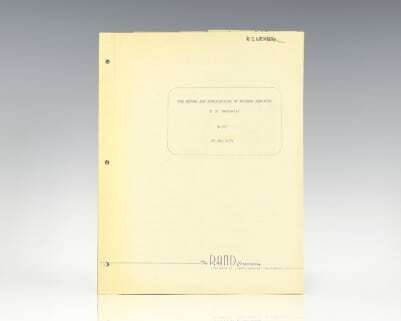 Rare research memorandum written by Nobel Prize-winning economist Harry M. Markowitz providing an economy-wide process analysis model to “predict what combination of civilian and military outputs can and cannot be produced with specified national resources.” Octavo, 23 pages typescript on original Project Rand Research Memorandum letterhead including two folding graphs concerning technological and mechanical resources and outputs. In near fine condition. Portfolio Selection: Efficient Diversification of Investments. Second edition of the economist’s work, which revolutionized modern investment theory and practice. Octavo, original blue cloth. Presentation copy, inscribed by the author on the title page, “Dear William Best Wishes Harry Markowitz.” In near fine condition. First edition of the economist’s work, which revolutionized modern investment theory and practice. Octavo, original blue cloth. Inscribed by Harry Markowitz on the title page. Near fine in a very good dust jacket. Housed in a custom half morocco clamshell box.